When I am asked what my favorite CRPG is, people are often surprised when I answer Star Control 2. “That’s an adventure game”, they reply. Oh, but Star Control 2 is so much more than that! You control a ship that starts off as a bare-bones hull, and as you acquire resources and credits, you can buy upgrades to improve your ship, as well as gain new crew and landing craft to replace any that were lost in battles and exploration. 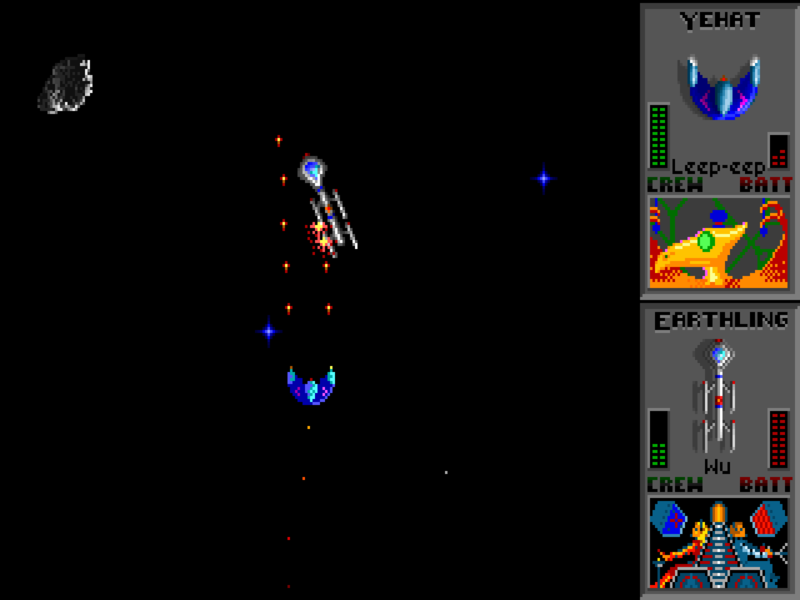 These features are a direct analog to the skills, items and hit points in a typical role-playing game, making Star Control 2 closer to a CRPG than an adventure game. And like any good CRPG, Star Control 2 offers three areas of activity for the player: exploration, storyline, and combat. The area for you to explore in Star Control 2 is huge. It’s nothing less than a whole galactic arm (and then some), with hundreds of star systems to explore. While a minority of these systems are important to the game’s storyline, most of them contain valuable resources that can be harvested by landing probes. 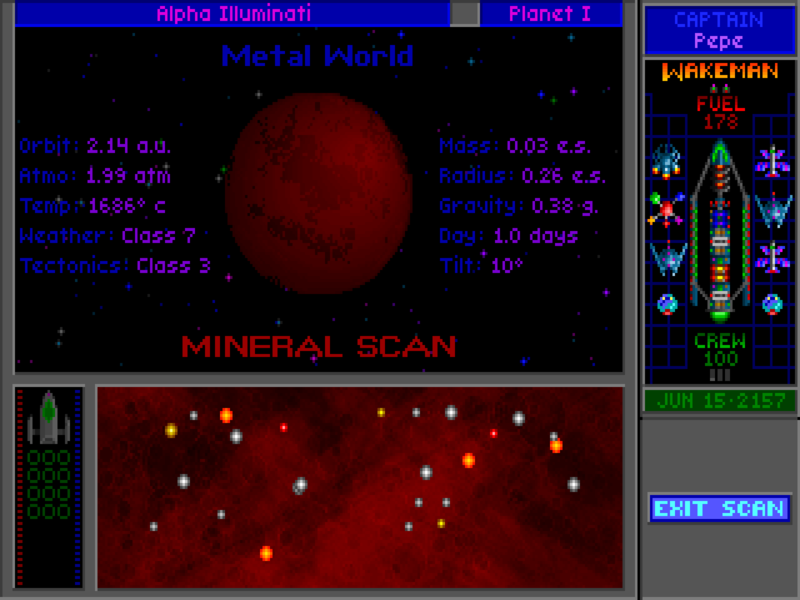 You’ll find everything from minerals to lifeforms to special items needed to advance the storyline. To me, one of the most amazing things about Star Control 2 is that the explorable area is entirely open and free form. True, you are limited in your exploration radius by your fuel reserves, but within that restriction you can go anywhere. The dialog you have with main characters often gives you clues on where to go, but you are free to ignore that advice and go anywhere you want. Like any CRPG, there were some areas that needed to be unlocked before you can visit them (or get any results from visiting them). The best example of this is QuasiSpace, the strange dimension that the Arilou Lalee’lay race comes from. Portals into QuasiSpace were randomly scattered around the galactic arm, and you are eventually granted the ability to enter QuasiSpace at will by using a Portal Spawner that you can create from pieces found on a wrecked enemy ship. But until that time, many distant systems are difficult to reach, and some are downright impossible. 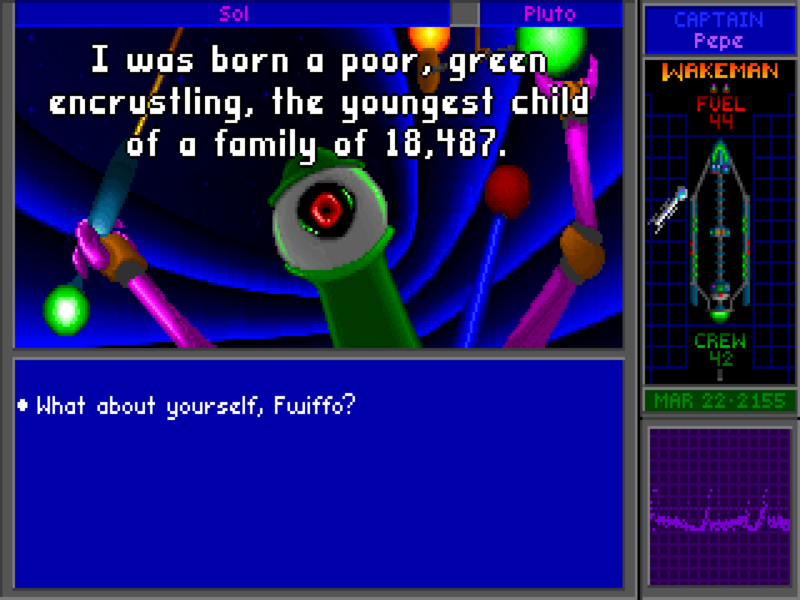 The universe of Star Control 2 is filled with many races, and the dialogs with those races are varied and always humorous (if darkly so). Most races have a unique perspective, ranging from the insult-flinging Pkunk to the depressed Utwig to the mysterious, multidimensional Orz. The conversations with representatives of these races can be hilarious and confusing, but they are needed to advance the plot. The pacing of the game was remarkably well controlled by the designers, especially given the open-ended nature of the play space. New races were found regularly, and each one gave you additional information about the history of the conflict in the region, as well as hints on where to go next and even new avenues of exploration. It always felt like there was somewhere to go and something to do that was important to advance to the story. 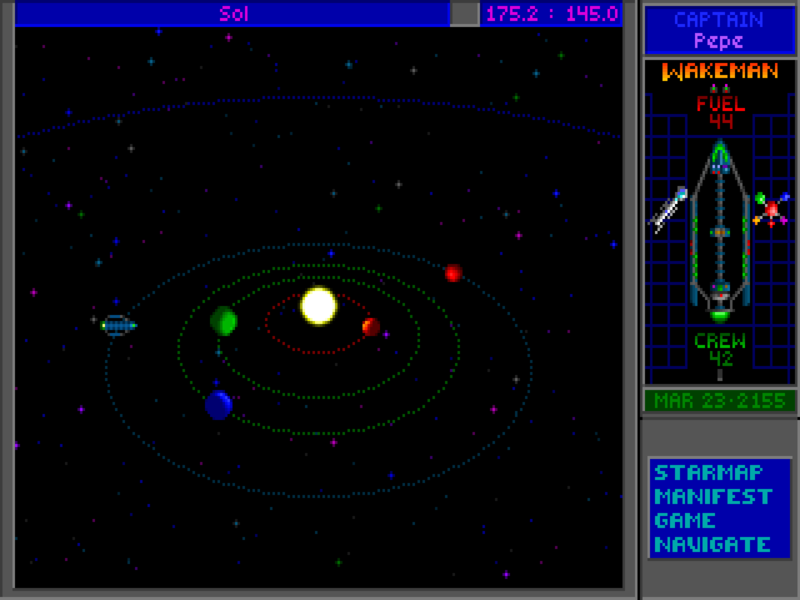 The storyline of Star Control 2 unfolded over time, as you explored the stars and spoke with the races you discovered. Some were friendly and some were not, which led to one of the best features of the game, the combat system. Combat in Star Control 2 is nothing short of fantastic. Each race has its own ship, with unique weapons, defenses and propulsion. The ships fight in a 2D top down arena reminiscent of the old arcade games Space War and Asteroid. Some ships have powerful but short range weapons, while others have self-guided attack missiles, and others have inertia-less propulsion and can literally turn on a dime. The crew on your ship acts as its “hit points”, because successful strikes will kill crew members and the ship is destroyed when all crew are dead. One ship even uses its own crew to power its weapons! Each combat consists of one ship fighting one ship. Like the old rock-paper-scissors game, some ships can handily defeat other ships, but unlike RPS, a highly skilled player can sometimes overcome a deficiency in a ship’s capabilities. And with over two dozen races, by the end of the game there is a huge variety of ship types to choose from, not counting the player’s own flagship, which is itself uniquely upgraded. No review would be complete without mentioning the music. Each race had its own music that played during its dialog, and this music was based in MOD format, which uses digitized samples of instruments to play the notes, which are stored independently of the samples and in a much smaller format. This allowed for wildly varying music for each race, but without the large computational overhead (in 1994 terms) of 100% digitized music like an mp3. At the time, Star Control 2 had some of the best sounding music of any game on the market, and that music helped define the tone of each race that you encountered in the game.